One of the greatest things about camping is having a nice fire going. Not only can you cook over it, but the crackling of the wood burning and the glowing of the flames adds that "campground" feeling to your site. Not every campground has a place for you to start a fire and even if they do, they are often not up to par. The last campers likely didn't clean up their mess, or they tossed all their trash into the fire and now you have a gob of melted plastic to deal with. What's the solution? Your own fire pit! 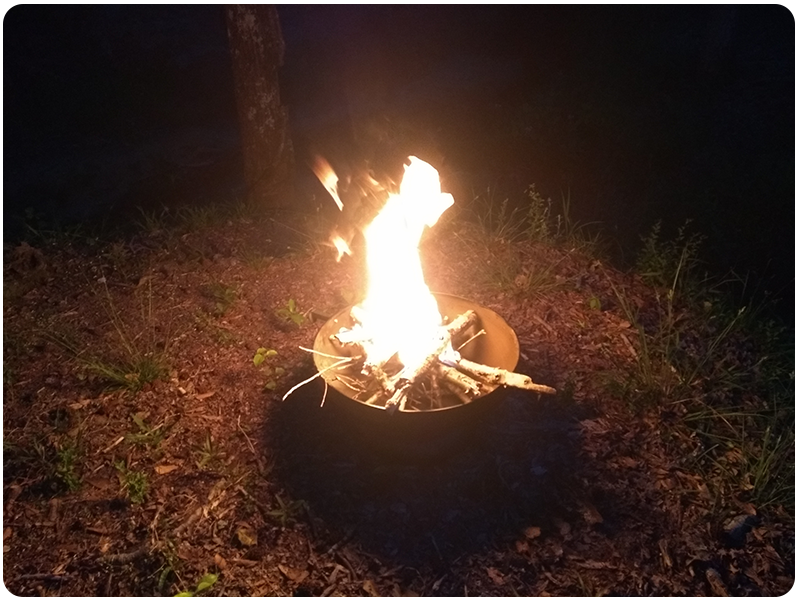 We've come across lots of fire pits in our adventures and most of them were cheaply made and wouldn't last more than a few seasons. We've seen our share of bad designs that made them unsafe or illegal to use in State and National Parks... and we've seen those that were just downright ugly. We wanted a fire pit that is good looking, well designed, well made and easily portable. Is that too much too ask? Not any more. The folks over at Kettle Creek Grillware sent us a Cadet Portable Fire Pit to try and we put it to the test. To be honest, we had never heard of Kettle Creek Grillware before we got this one so we had no preconceived notion of what to expect. 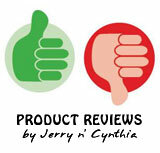 Like most other products on the market, we expected "cheap" and made to the lowest possible standard. Well, we were wrong and we're not ashamed to admit it. We opened the cardboard shipping box that it came in and we were greeted with this very high quality wooden box. We took it out and set it on the ground and Cynthia went absolutely crazy over the wooden box. She excitedly said "I want that box! I can think of so many things I can make with it. It's beautiful!" I had to remind her that is what the fire pit is stored in when not in use. She made a sad face. Here are some pictures of the box during the unpacking process. If you notice in the picture above, the fire pit has carrying handles. These appear to be made out of railroad spikes and are welded on. Rest assured, absolutely nothing on this fire pit is going to break (well, unless you are really trying to break it). Keep in mind that these handles will get hot if you have a fire going, so wear an Ove' Glove when moving it around. 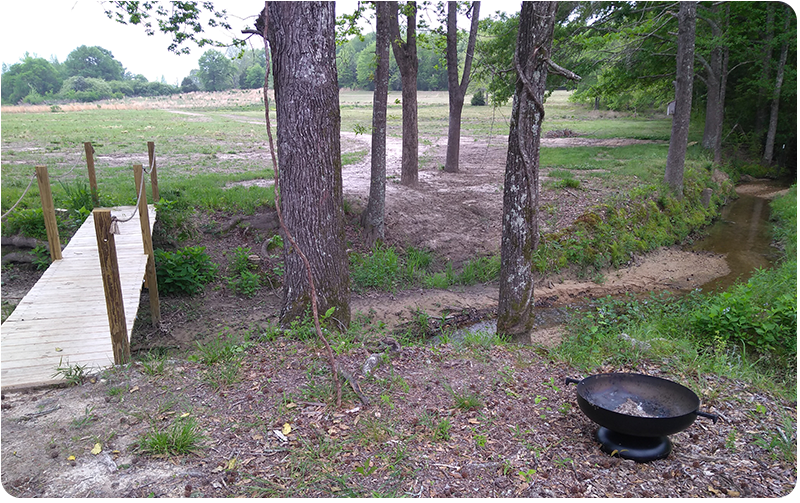 We were very pleasantly surprised by the quality and functionality of this fire pit. Honestly, we haven't seen another that would even come close to matching this one. Even the instructions that came with it were printed on heavy paper, as well as the history of the Battle of Kettle Creek documents. They were so nice, we almost wanted to have them framed! Our favorite part was the included American Flag sticker and Kettle Creek sticker. MADE IN THE USA - We love to see that on products we use. Kettle Creek Grillware believes 100% in the USA, the American worker and the members of our Armed Forces. God bless them for that. If you're looking to get a new fire pit, hands down without a doubt we suggest you get one from Kettle Creek Grillware. It's a great product produced by some awesome people who know that quality matters. 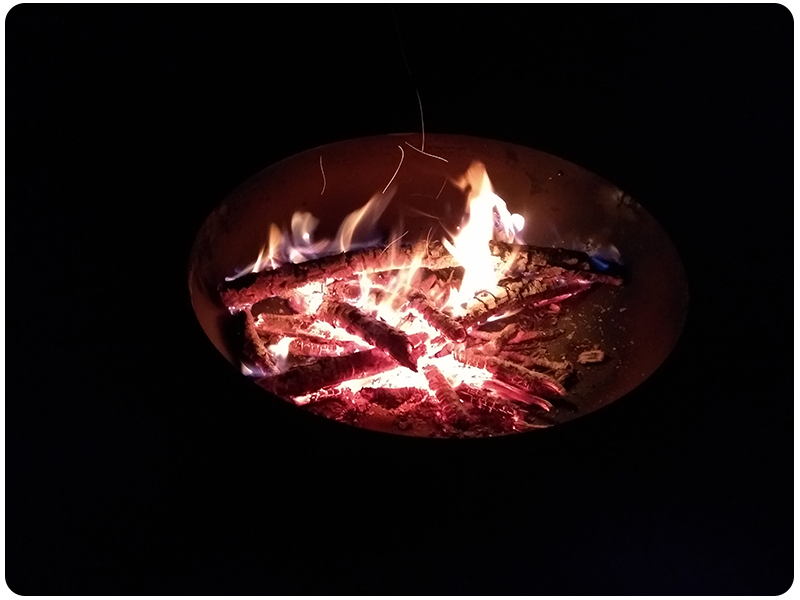 Check out the images belows of this fire pit in use. 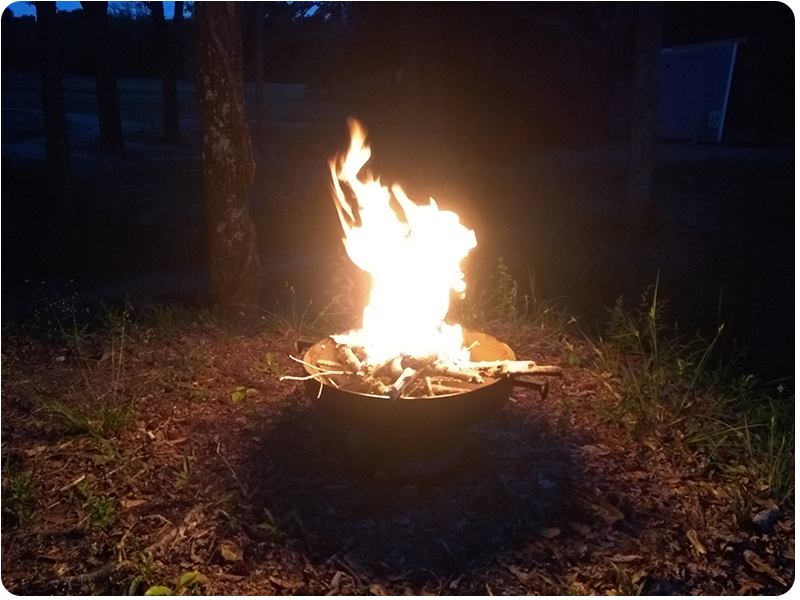 Overall, we give the Kettle Creek Cadet Portable Fire Pit a big 5 out of 5!